Rigel (β Ori / β Orionis / Beta Orionis) is the brightest star in the constellation Orion and the sixth brightest star in the sky, with visual magnitude 0.18. Although it has the Bayer designation "beta", it is almost always brighter than Alpha Orionis (Betelgeuse). Aldebaran (α Tau, α Tauri, Alpha Tauri) is an orange giant star located about 65 light years away in the zodiac constellation of Taurus. With an average apparent magnitude of 0.87 it is the brightest star in the constellation and is one of the brightest stars in the nighttime sky. The name Aldebaran is Arabic (الدبران al-dabarān) and translates literally as "the follower", presumably because this bright star appears to follow the Pleiades, or Seven Sisters star cluster in the night sky. This star is also called the Bull's Eye because of its striking orange color and its location in the bull's head shaped asterism. NASA's Pioneer 10 spacecraft, which flew by Jupiter in 1973, is currently traveling in the direction and will reach it in about two million years. The Sun is the star at the center of the Solar System. 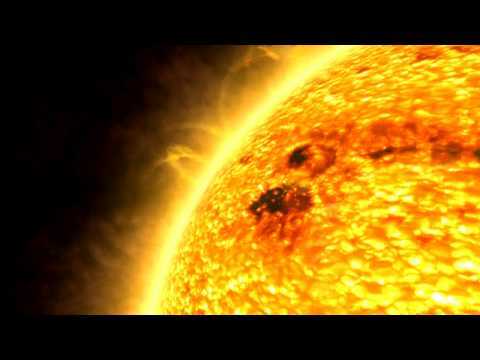 The Sun has a diameter of about 1,392,000 kilometres (865,000 mi) (about 109 Earths), and by itself accounts for about 99.86% of the Solar System's mass; the remainder consists of the planets (including Earth), asteroids, meteoroids, comets, and dust in orbit. About three-fourths of the Sun's mass consists of hydrogen, while most of the rest is helium. Are Men More Evolved Than Women?